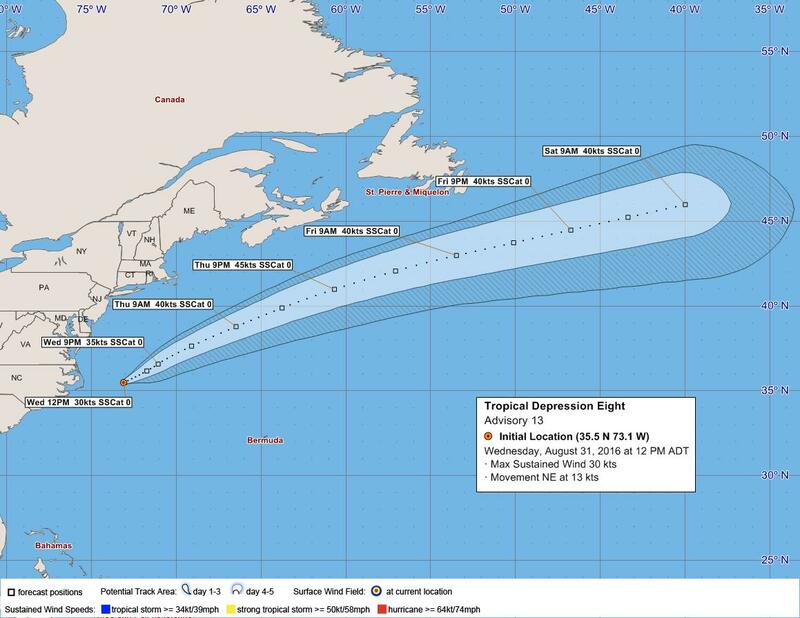 As far as Tropical Depression Eight, the U.S. National Hurricane Center said, “At 5.00pm, the center of Tropical Depression Eight was located near latitude 36.3 North, longitude 71.9 West. The depression is moving toward the northeast near 16 mph [26 km/h]. This general motion with an increase in forward speed is forecast during the next day or so. While Bermuda looks like it will be spared from Tropical Storm Hermine, CNN is reporting that a “state of emergency has been declared for most of Florida as Tropical Storm Hermine moved through the Gulf of Mexico toward the Florida panhandle Wednesday. “Previously dubbed Tropical Depression Nine, it strengthened into a tropical storm with 40-mph winds Wednesday afternoon. As of 5 p.m. 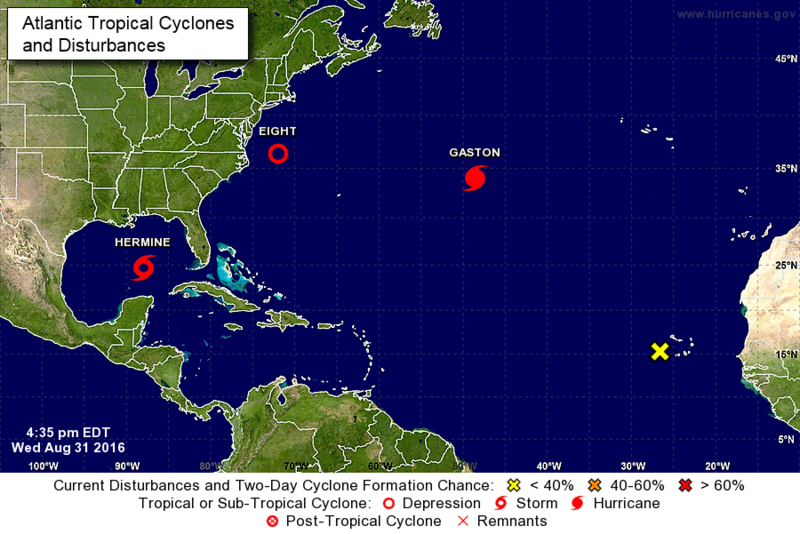 ET, the storm was about 325 miles south-southwest of Apalachicola, the National Hurricane Center said. “Hermine could become a hurricane, the center said. A hurricane watch was in effect for the area between Anclote River, near Tampa, and Destin. Two Florida counties are taking no chances with its oceanside locales. Franklin County, located just southeast of Panama City, issued a mandatory evacuation order for the coastal towns of St. George Island, Dog Island, Bald Point and Alligator Point, the county’s emergency management office said.